Being a country girl Barcelona hit me from the start. The airport's huge, the taxi ride almost manic. 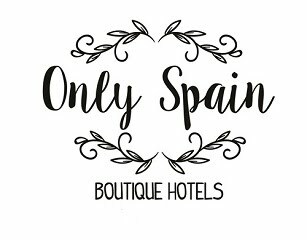 My hotel in the heart of La Rambla noisy and the writhing mass of people from my hotel balcony almost made me turn tail and head home to my land of olive groves – Jaen in Andalucia. Wondering how could I retreat and write in this metropolitan jungle and hubbub I made my way to the lounge to begin the course. That first writing course session with a Norwegian living in Paris, two Americans, one Canadian and an English women living Spain (me) began. Exploring La Rambla later felt even more uncomfortable than meeting the girl writers. So many people, everywhere. I clung to my handbag and ever watchful dodged and sidestepped the vibrant, international multitude, constantly. Between writing sessions, city-walks and Guadi visits we wrote and talked and shared lives. In the evenings we explored and dined and wined. By the end of day two I'd mellowed. The busy-ness enveloped me, no longer overwhelming. Our writers group grew in confidence and daring, sharing lives so far apart but the same. Feelings, emotions and experiences don't change with continents. Fear doesn't go in a day. City dwelling is not for me, but Barcelona grew on me. It encouraged and inspired me and my writing. It's creativity and vibrancy touched my soul. After four nights I was in love. It wasn't enough, pounding those pavements, being awed by those architectural monuments or wooed by flamenco it was the whole, the mass, the city on a beach its gastronomy, I'll be back for more. Go to Barcelona and fall in love with life. Discover the tourist parts and the narrow Jewish quarter, learn about its history, long and bloody. Day and night there's a pulse that never sleeps. I left changed. My last morning I woke up to noise and people, sharing and caring. The morning after I rose to silence and nature, home. Yet with a yearning for the bustle. Barcelona Flamenco Show on my Luxury Spain Travel blog.